The Yankees have continued to play an active role at the trade deadline, following last week’s trade of Aroldis Chapman to the Cubs with a trade moving closer Andrew Miller to the Cleveland Indians. The Indians sent four prospects in return for Miller, all of whom are profiled below. In other minor league trade news, the Yankees sent AAA pitcher Vicente Campos, who has a 3.20 ERA and 1.17 WHIP across three levels this season to the Diamondbacks for major league reliever (and former Yankees prospect of long ago) Tyler Clippard. 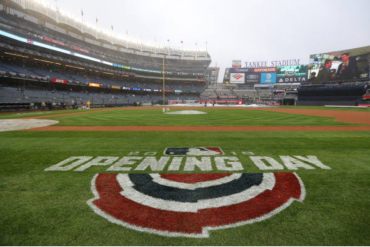 Info on the assignments comes from a report from YES Network studio host Jack Curry. Frazier and Heller will go to AAA Scranton, Feyereisen to AA Trenton and Sheffield to A Tampa. 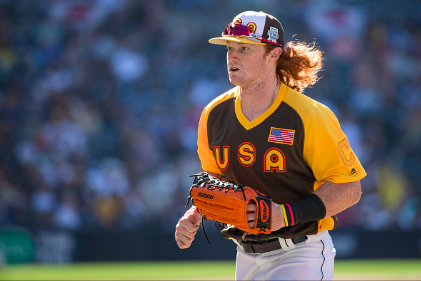 Clint Frazier– OF- Scranton/Wilkes-Barre (AAA)- The 21 year-old and 2013 5th overall pick played mostly in AA for the Indians this season but earned the call to AAA last Monday. 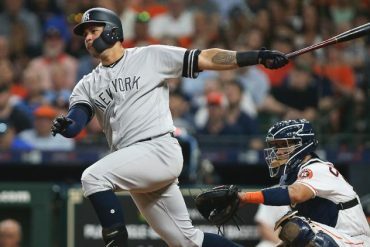 Combining the stats from both levels, he has hit for a .273 average with a .350 on-base percentage in 341 at-bats, with 13 home runs, 48 RBI, and 13 stolen bases in 17 attempts. The right-hander has developed an impressive combination of power and speed in the minors, with scouts saying he could develop into a 30 home run hitter if he can continue to tap into his natural raw power. His above average speed may also help him put up at least 15-20 stolen bases in a given year. There’s a reason MLB.com ranked him as the Indians’ top prospect and gave him the same designation in the Yankees organization (for perspective, he is ranked as the 24th best prospect in the game right now in their rankings; the same list has newly acquired prospect Gleyber Torres ranked 26th.) Scouts generally regard him as a polished hitter who has already tamed his previously more aggressive approach at the plate (he had 161 strikeouts at the plate in a full season in 2014, 125 in 2015, and 92 so far this season.) The organization’s depth may have forced Frazier out of center field and into right, but with the Yankees, Frazier may be able to stick in center field. The Indians may have considered calling him up in September had he stayed with the organization, so his debut is not all that far off. Look for him to debut by the middle of next season at the latest. Justus Sheffield–SP- Tampa (A-Advanced)– Sheffield is an undersized left-hander at 5’10”, but he can hit 96 on the radar gun or throw a slower fastball with late break. MLB.com ranked Sheffield as the Indians’ 5th best prospect in their midseason rankings update and Baseball America had him 4th. 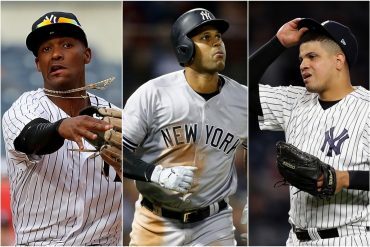 Buster Olney of ESPN.com has been even more generous, describing Sheffield as one of the Indians’ three best prospects. Clint Frazier and Justus Sheffield generally regarded as two of the Indians’ three best prospects. 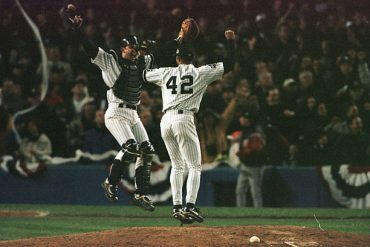 A strong haul for the Yankees. Ben Heller– RP- Scranton/Wilkes-Barre (AAA)- Heller may already be 24, but the right-hander still made it onto MLB.com’s midseason prospect rankings as the Indians’ #30 prospect. Heller’s fastball can touch triple digits and he has struck out 48 batters in 41 2/3 innings while pitching to a 1.73 ERA and a 0.84 WHIP between AA and AAA in 2016. As expected, his numbers fell off a bit in AAA, but in 25 2/3 AAA innings, he still has a 2.49 ERA, a 1.07 WHIP, and a strikeout rate of almost exactly one batter per inning. He has good command of his fastball, as he has issued only 12 free passes, and also incorporates a plus slider that works well with his fastball as an “out” pitch. 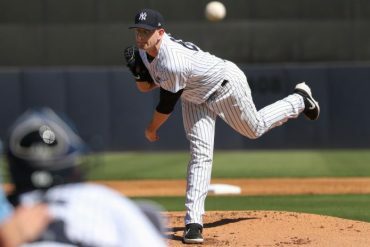 He may have a spot in the Yankees’ bullpen down the road as a set-up man if not necessarily a closer, and may come to the big leagues as part of the “Scranton Shuttle” as soon as later this season. J.P. Feyereisen– RP- Trenton (AA)- The 23 year-old former 16th round pick notably started his professional career with a 17 inning scoreless streak in Short-Season A, but he has continued to progress nicely. Pitching for the Indians’ AA Akron affiliate, he has a 2.23 ERA and 1.24 WHIP, plus 56 strikeouts in 40 1/3 innings. The 20 walks indicate a bit of a control issue this season, but his numbers at lower levels indicate that he should have around average control for a reliever. His fastball is significantly slower than that of his trade-mate Heller, as his tops out at around 94 mph, and he also incorporates a slider that is still a work in progress but has helped him get outs across the minors. 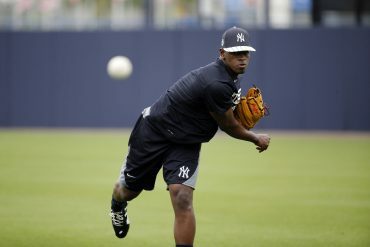 He may also be a candidate for the Scranton Shuttle later this season, but given the Yankees’ decision to place him in AA, it may be until 2017 before we see him in the Bronx. Given his career 1.80 ERA and 1.01 WHIP, the 23 year-old makes for an excellent fourth piece in an objectively excellent trade for the Yankees.